You’ve all seen them: those talk show captions that make you go “Wut?”; the ones where you yell at the TV “THAT’S why we have DVR!” and well, now you’ve got a whole bunch of those funny talk show captions to look at in your quest to better understand why you’re better than most of the people on TV. If a talk show caption was cringey, funny, or just completely WTF, it’s here. What was it they said about this on South Park? 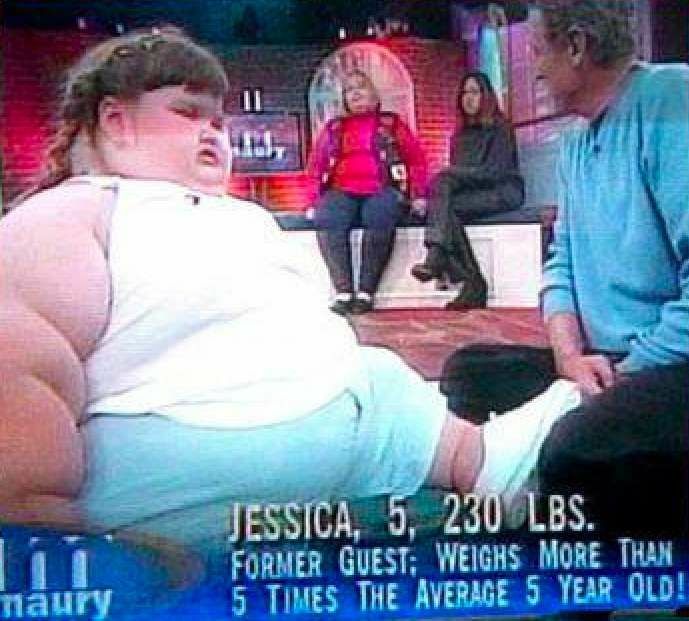 As Cartman would have told us on his quest to appear on daytime television, this little (irony intended) girl isn’t FAT, she’s big boned. Okay, maybe she’s also big armed, legged, and headed but she’s also like 4 foot tall, so let a girl grow some, eh?